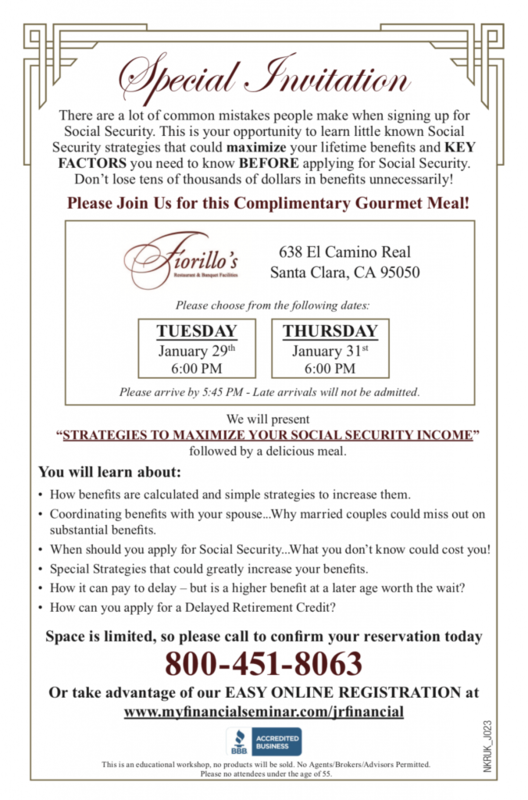 J.R. Financial is preparing to host our first social security seminars of the year! Do you know someone who would like to learn how to maximize their lifetime benefits and what key factors to know before applying for social security? 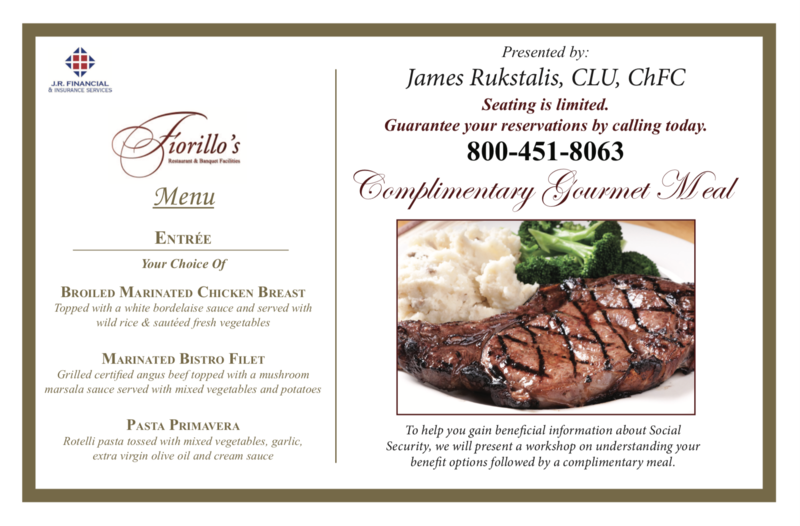 Share this article so they can sign up to join us at Fiorillo’s on Tues. 1/29 or Thurs. 1/31!